If you are not hungry (or skipping meals) and it can be very hard to take in extra calories. Whatever you do – don’t force yourself to eat loads !!! 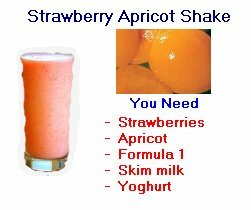 Adding a shake or smoothie to your diet is a very enjoyable way to take in extra calories. The advantage of making a smoothie (or shake) with a smoothie mix powder is that you will be adding consistent extra calories each time – consistency is very important to gaining weight. There are very many different types of smoothie mix powders – ranging from simple ‘extra calorie’ powders, to gluten and soy free, specialised muscle building powders, etc. The key is to use exactly the right type of powder to fit in with your own individual objectives. Breakfast really is the most important meal for gaining weight. If you usually skip breakfast (very common) then make sure you have a shake. 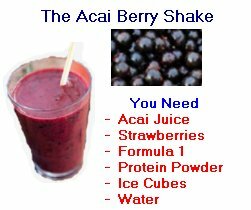 To make add all ingredients in to a blender and add 4-6oz water with a handful of ice and blend. This is our most popular poor absorption smoothie recipe. Great ‘light’ after meal source of healthy calories. 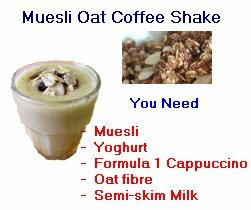 Ideal if you usually skip breakfast, calories + better absorption. 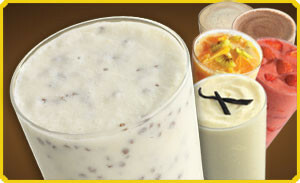 The easiest way to gain weight is to simply add some specialised shakes or smoothies to your diet. Our online order page contains a detailed explanation of the ‘superfood for weight gainers’ mix powder. 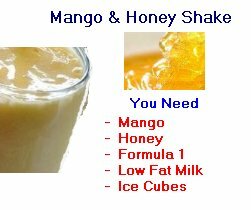 Ideal for weight gain it comes in a variety of flavours and can be blended with water, juice or milk.